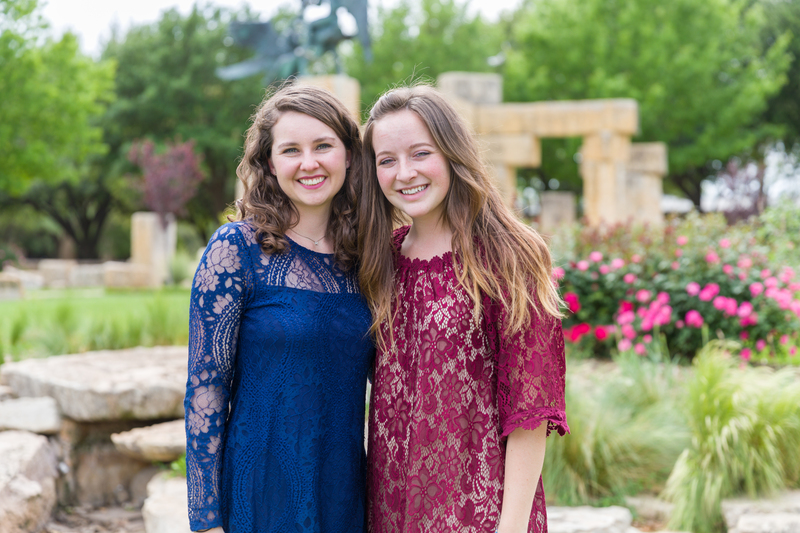 Mackenzie Sanderson, left, and Lindsie Lawson made history when both received Fulbright Scholar Awards, the first time for two ACU students to receive the honor in the same year. Lindsie Lawson and Mackenzie Sanderson will barely have time to celebrate graduation before it’s time to start packing for the exciting next adventures in their lives. The two ACU seniors made history when both received Fulbright Scholar Awards, the first time for two ACU students to receive the honor in the same year. The award, presented by the U.S. Department of State, grants funding to graduates to teach English in other countries. Mackenzie will teach in Germany from September 2018 through the end of June 2019. Lindsie will teach in Malaysia for 10 months beginning in January 2019. But she won’t be sitting idly by until then. She will leave June 4 for Itu, Brazil, where she will teach English for six months in conjunction with a congregation there. “That’s always something I’ve really cared about and enjoyed,” Lindsie said of teaching English to non-speakers. Lindsie is a Spanish and global studies major from The Colony. Mackenzie, from El Paso, is a political science and global studies major. Both women are products of the Teaching English to Speakers of Other Languages (TESOL) certification class at ACU, and both women credit ACU professors with helping them get where they are. As part of Dr. Jennifer Shewmaker’s Women in Leadership class, Lindsie was asked to write down goals. Learning five languages was one and getting a Fulbright Scholar Award was another. Mackenzie cited Dr. Neal Coates, chair of the Department of Political Science and Criminal Justice, with being especially helpful. He helped her apply for internships, which helped her gain experience in her field, grow as a person and learn more about her own capabilities and goals. “His guidance in classes and as the chair of my honors thesis committee also helped me grow as a student and apply what I’ve learned to studies about my own interests,” she said. Both women knew they would have opportunities when they arrived at ACU, but they may not have realized just how extensive those opportunities would be. Mackenzie chose ACU partly because of the professors. Pamela Sullivan, the English as a Second Language program director at ACU, helped Mackenzie learn how to teach in the classroom. Because Pamela lived and taught English in Germany for more than two decades, she was instrumental in helping Mackenzie with her Fulbright application and honors thesis work. Mackenzie also was part of a Study Abroad program in Oxford with Dr. Jeff Childers and his wife. Lindsie, too, is a veteran traveler who visited seven countries over two months last summer. Part of that travel experience was in South America and part was in Europe. Lindsie was attracted to ACU because of the opportunity for discipleship. She found that and more once she was on campus. She spent the fall semester of her sophomore year in 2015 in a Study Abroad Spanish immersion course in Uruguay. She learned about the opportunity for the Fulbright Scholar Award at a dinner provided by the Office of Major Scholarships during her sophomore year. Studying in Uruguay, working with the Office of Multicultural Affairs and taking the TESOL certification class all helped prepare her for what lies ahead. Although she studied Spanish, Lindsie will be teaching students who speak Malay or Mandarin. Life is a little hectic right now for both women as they prepare for their last days as ACU undergraduates, graduation and their new adventures aboard. “It’s still kind of surreal,” Lindsie said. We are so proud of these two young women, whose selection for Fulbrights is demonstrating the value of multilingualism in today’s global economy. Both are Global Studies majors with a second major in fields of language and politics. Both studied abroad! ACU continues to make strides in globalizing the experiences of its students, and that work is bearing fruit! This is terrific. Teaching English as a Second Language is very rewarding and assists the students in learning culture and history of the new country. TESOL is very beneficial for teachers and students.